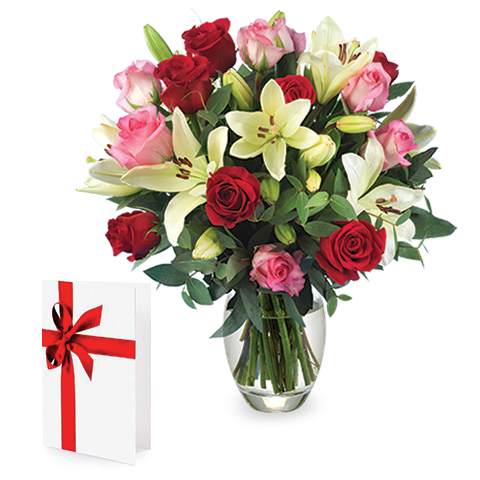 Impress with this magical rose and lily bouquet and accompanying card. The flowers give off an air of supreme elegance, from the bright white lilies to the stylish pink and the splendid red roses and to complete the gift, a greetings card is included so that you can let them know just how important to you they are. Share a surprise that will be met with smiles from your loved ones today! Always an excellent and fast service with high quality flowers!